Well, I finally got the Department of Secret Projects off their behinds and into action. They whipped up some cool stuff for you. This is a drop of the Mk.I Atomic Ray Gun in Blackened Zirconium. Haven’t released these since back in January (yeah, really) so these will probably go pretty quickly. 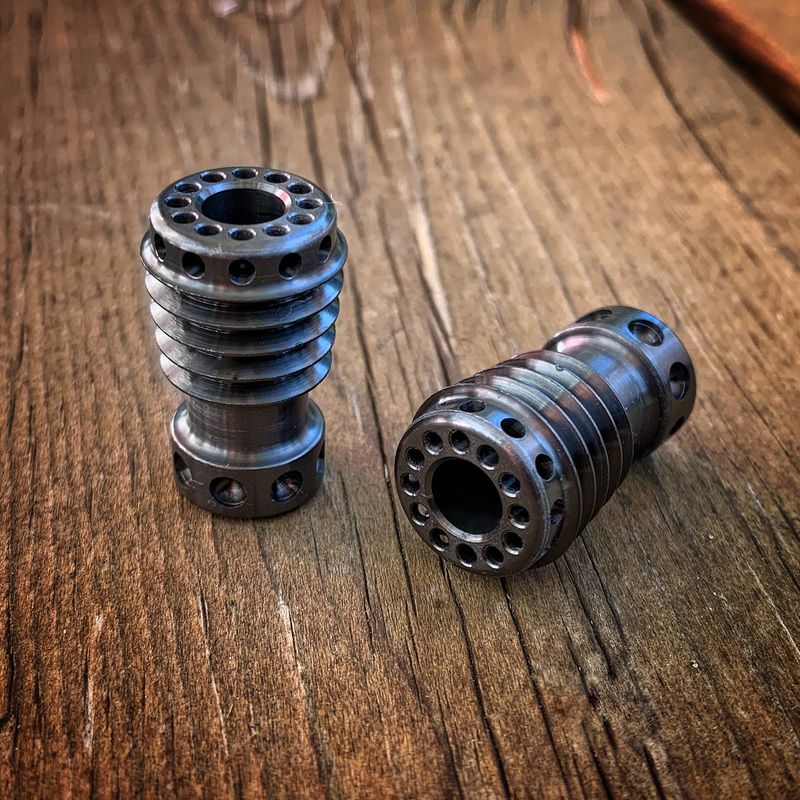 Mk.I Atomic Ray Guns in Blackened Zirconium are $125 each, shipped to US addresses. US buyers can purchase using the PayPal “Buy Now” button below. Buyers outside the US can hit the PayPal button to purchase and then contact me for a USPS Priority shipping quote at mark@raygundivision.com – Typically this ends up being an additional $15-30 due to Priority International cost, depending on location. Please Note: Shipment outside the US via any method other than tracked Priority or Express is at the buyer’s risk.